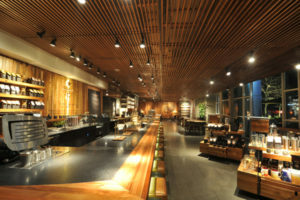 Starbucks has opened its first Reserve Bar in Latin America in Santiago, Chile. 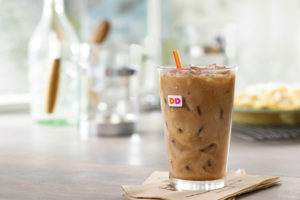 Today (21 June) marks the first day of summer 2017 and a new survey commissioned by Dunkin’ Donuts shows that two-thirds (67%) of adults are looking forward to summer more this year than in previous years. 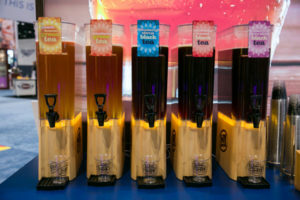 S&D Coffee & Tea has announced five new flavours to its Mangrove Bay flavoured iced tea line are now available to foodservice and convenience store operators. 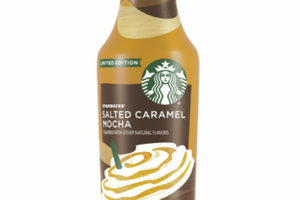 Starbucks is bringing customers an easy and convenient way to enjoy the Caffè Latte with the new ready-to-drink Starbucks Iced Latte, available for a limited time in Salted Caramel Mocha. 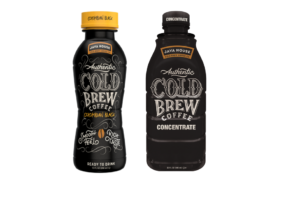 A great beverage isn’t always just about taste. 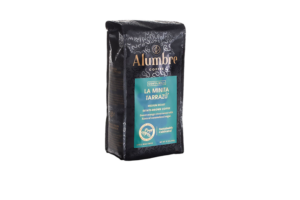 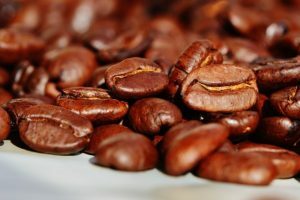 It can be a whole sensory experience including a tantalizing aroma and appealing appearance. 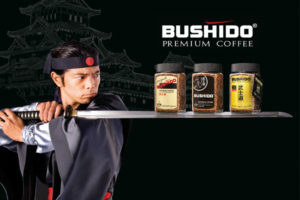 For customers across Asia, now it can also be about a wider range of unique textures. 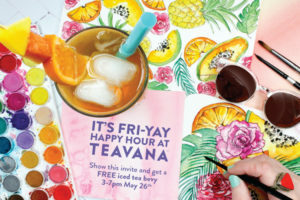 With Memorial Day weekend being the unofficial kick off to summer in the US, people start thinking about flip flops, sunshine, outdoor fun—and for many, iced tea. 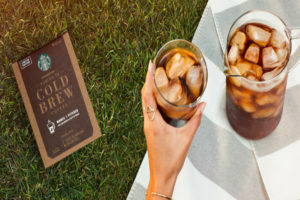 Just in time for the summer, Starbucks is making it easy for consumers to enjoy premium cold coffee at home and on the go, with three new coffee beverages available in the grocery aisle. 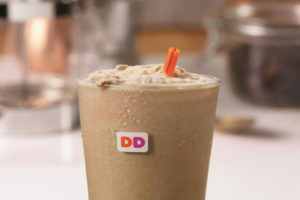 Just ahead of summer, Dunkin’ Donuts is now serving the taste of its signature coffee, frozen. 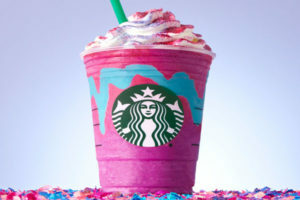 Once only found in enchanted forests, unicorns have been popping up in social media with shimmering unicorn-themed food and drinks. 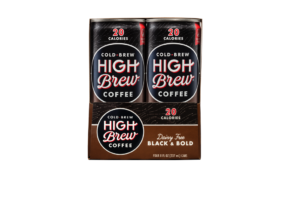 Heartland Food Products Group has been in the business of making coffee taste better for decades and is now bringing 100% authentic cold brew coffee to the masses. 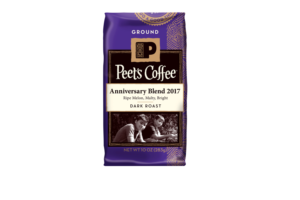 Celebrating its 51st anniversary, Peet’s Coffee announced the launch of its annual, limited release Anniversary Blend, which celebrates its founding by giving back to origin via the company’s program Drink a Great Cup, Do a Good Thing. 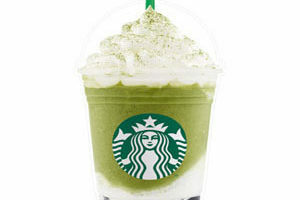 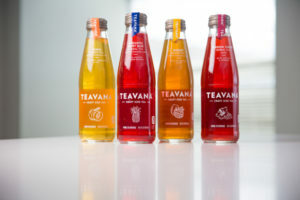 Timed with the arrival of spring, Starbucks has introduced a variety of new Teavana teas at Starbucks stores that includes new Shaken Iced White Tea, Lightly Sweet Chai Tea Latte, and a regional roll-out of ready-to-drink Teavana Craft Iced Teas to Starbucks stores in the Northeast US. 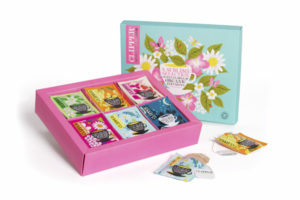 Designed to create new buying occasions, Clipper Teas has introduced a stylish new gift box –the first of several to come – that features teas from the brand’s Organic Infusions range. 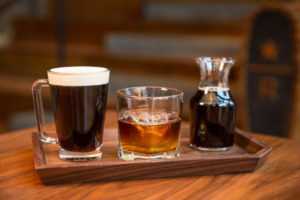 The centuries-old craft of barrel aging has long been a source of culinary inspiration, influencing everything from sugars and chocolates to sauces and ciders, and now green coffee. 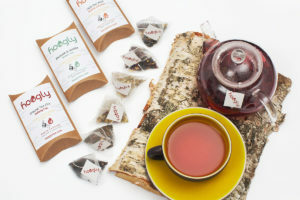 Consumers have a craftier new way to enjoy ready-to-drink teas. 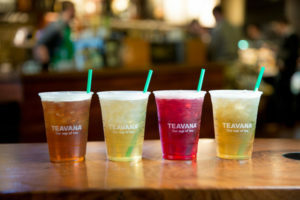 Starbucks, in partnership with Anheuser-Busch, began shipping new ready-to-drink premium Teavana Craft Iced Teas to select grocery and convenience retailers in New Hampshire, New York, Vermont and Missouri earlier this month.